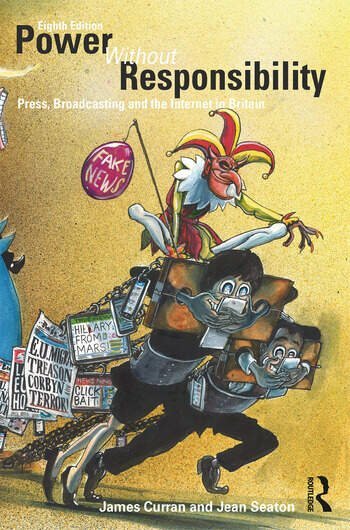 This book attacks the conventional history of the press as a story of progress; offers a critical defence and history of public service broadcasting; provides a myth-busting account of the internet; a subtle account of the impact of social media and explores key debates about the role and politics of the media. It has become a standard book on media and other courses: but it has also gone beyond an academic audience to reach a wider public. Hailed as ‘a classic of media history and analysis’ by the Irish Times and a book that has ‘cracked the canon’ by the Times Higher, it has been translated into five languages. This edition contains six new chapters. These include the press and the remaking of Britain, the rise of the neo-liberal Establishment, the moral decline of journalism, the impact of social media and a history of attempts to reform the press. It contains new research on the relationship between programmes, institutions and society. It places key UK institutions in the wider context of international affairs and their impact. The book has been updated to take account of new developments like Brexit and the rise of Jeremy Corbyn and the shift in authority and legitimacy prompted by social media. It does this with a clear explanation of how policy can shape media outcomes. James Curran is Professor of Communications at Goldsmiths, University of London. Jean Seaton is Professor of Media History at the University of Westminster, and Director of the Orwell Foundation.